Diet for a Green Planet was developed in a collaboration between Building Ecological Recycling Agriculture and Societies (BERAS), URBACT, and Södertälje’s local food and nutrition department called the Diet Unit. The program advocates the consumption of local, seasonal, and organic food and promotes reduced meat consumption and decreased food waste. It applies to local, government-run canteens, which mainly consist of school cafeterias and retirement homes. Overall, the local government seeks to encourage sustainable and healthy eating habits while preserving the surrounding natural environment. In 2010, Södertälje adopted the Diet Policy, which shared many of the same aims as Diet for a Green Planet. Between December 2013 and March 2015, Södertälje’s Pilot Transfer program spread the policy to locations in Lithuania, Poland, and Spain. Now, in Södertälje, over half of the food served in public canteens is organic and locally grown. 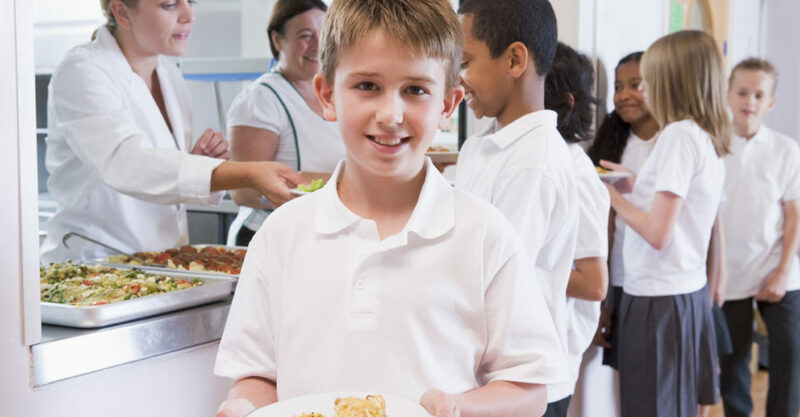 Meat consumption in schools has fallen by 30%, while food waste has been reduced by 40%. The Diet Policy began in 2010. Once that policy spread to international locations, it became known as Diet for a Green Planet. Make healthy food tasty and attractive. Serve meals that consist of 20% meat and 80% vegetables, legumes, and whole grains. Promote seasonal and locally produced food. Södertälje began by changing its purchasing choices in kitchens run by the Diet Unit. In 2010, only 18% of all foods in participating kitchens were organic. By 2014, that number had risen to 50.7%. This simple shift in purchasing has had numerous positive effects such as improving food quality in local canteens, supporting local farmers, and incentivizing farmers to use organic agricultural methods, which are less environmentally destructive. The majority of kitchens affected by this program are located in public schools, which serve about 23,000 meals daily and 4.5 million meals annually. School lunches have changed substantially to include more healthy alternatives. Usually, students can choose between several healthy options including meat, fish, a vegetarian dish, soup, and salad. One day a week, the meal is completely vegetarian. BERAS and the Diet Unit have collaborated to make it easy to comply with their high standards of quality by publishing a cookbook called Diet for a Clean Baltic. It includes recipes for dishes such as pearl barley salad with spinach, cream cheese, and sundried tomatoes and stuffed peppers with wheatberries and mature cheese. Significantly, Diet for a Green Planet has not resulted in increased spending. Largely thanks to reductions in food waste, the Diet Unit’s budget has remained the same, at 9.1 kroner per meal, or just over $1 USD. While organic produce is more expensive than conventionally farmed food, this cost is offset by a number of measures. 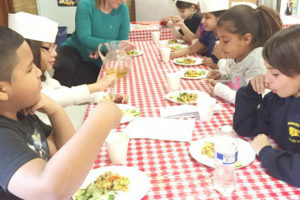 These include training staff to make efficient use of available food, repurposing leftovers, educating students about food waste, reducing meat, buying seasonally, and using whole foods rather than processed foods (e.g. multigrain bread vs. white bread). Södertälje now acts as a “sending” city, sharing its methods with the “receiving” cities of Molėtai, Lithuania; Łomża, Poland; and Mollet del Vallès, Spain. During the short, 16 month Pilot Transfer program, these cities took important steps to begin transforming their local canteens. Changes in food production and consumption can have both local and global consequences. Locally, Diet for a Green Planet is part of a larger effort to protect the environment of the Baltic Sea and its surrounding areas. Conventional agriculture can lead to severe fertilizer runoff into nearby bodies of water. Increased levels of fertilizer lead to algal blooms, which consume oxygen, leading to mass die offs among sea life. A report by BERAS describes the problem in the Baltic Sea and recommends “recycling agriculture,” which is part of Södertälje’s overall environmental effort. It’s estimated that recycling agriculture combined with local food production and reduced meat consumption can decrease the food chain’s carbon footprint by 70%. In addition to positive environmental impacts, Diet for a Green Planet promotes good eating habits and overall good health. While obesity remains fairly low in Sweden compared to many other parts of the world, it is a rising concern. According to the European Association for the Study of Obesity, around 6-8% of Swedish children are obese. Programs like Diet for a Green Planet can help Swedes maintain their relatively healthy status in a world of rapidly changing food norms. In Södertälje, the Diet Unit is responsible for implementing Diet for a Green Planet according to its fixed budget, so regular evaluations are indispensable. In addition to analyzing expense reports that detail the kinds of food being purchased, members of the Diet Unit frequently eat in public canteens to assess the quality of the food and adherence to standards of preparation. Diet for a Green Planet was developed in association with URBACT, which has implemented similar projects in other cities. This includes Sustainable Food in Urban Communities, which we covered here. Increasingly, cities around the world are introducing comprehensive food policies that strive to promote health, sustainability, and social justice. Examples include Edinburgh, Scotland and Berkeley, California.